The first book to be published on the Theta method, outlining under what conditions the method outperforms other forecasting methods This book is the first to detail the Theta method of forecasting - one of the most difficult-to-beat forecasting benchmarks, which topped the biggest forecasting competition in the world in 2000: the M3 competition. Written by two of the leading experts in the forecasting field, it illuminates the exact replication of the method and under what conditions the method outperforms other forecasting methods. Recent developments such as multivariate models are also included, as are a series of practical applications in finance, economics, and healthcare. The book also offers practical tools in MS Excel and guidance, as well as provisional access, for the use of R source code and respective packages. 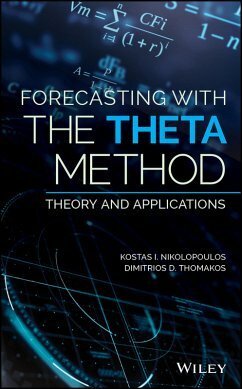 Forecasting with the Theta Method: Theory and Applications includes three main parts. The first part, titled Theory, Methods, Models & Applications details the new theory about the method. The second part, Applications & Performance in Forecasting Competitions, describes empirical results and simulations on the method. The last part roadmaps future research and also include contributions from another leading scholar of the method - Dr. Fotios Petropoulos. 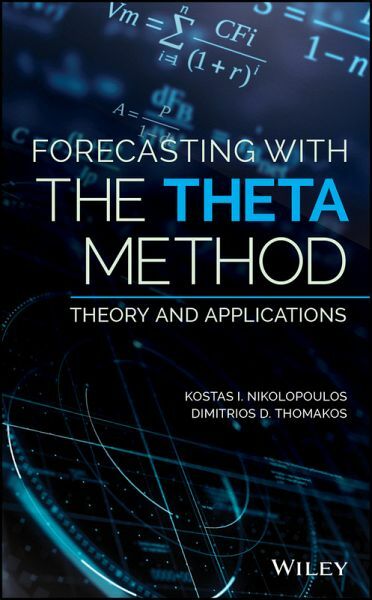 * First ever book to be published on the Theta Method * Explores new theory and exact conditions under which methods would outperform most forecasting benchmarks * Clearly written with practical applications * Employs R - open source code with all included implementations Forecasting with the Theta Method: Theory and Applications is a valuable tool for both academics and practitioners involved in forecasting and respective software development.